Just Listed :: Adorable Bungalow in Decatur's Springdale Heights! Welcome Home! Located in one of Decatur’s favorite neighborhoods, this home is just what you’ve been looking for. The custom features and charming character will never go out of style. The close proximity to I-285, Highway 78, North Decatur Road, and Scott Boulevard makes it convenient to and from any direction. Did we also mention that you are literally only minutes from all of your favorite activities, restaurants, and shopping spots in Downtown Decatur? · Updated kitchen features quartz countertops, ample cabinet space, and travertine floors. · Living room boasts neutral colors, crown molding, cozy fireplace, and plenty of natural light. · Main level master suite is a true retreat including a large walk-in closet and spa-like master bathroom. · Additional bedroom and bathroom are well sized and bright. · Unfinished walk-up attic is just waiting for your ideas. · Wonderful outdoor space includes a deck off of the kitchen and a large patio overlooking the fully fenced backyard. · One car detached garage is ideal for your vehicle or as extra storage space. 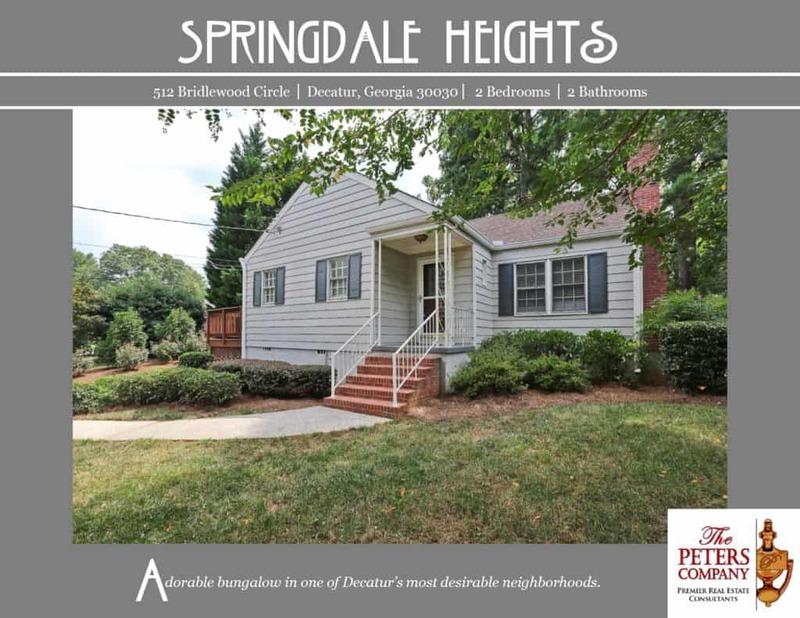 Call The Peters Company today to see this wonderful home at 512 Bridlewood Circle… 404-419-3619! ← Just Listed :: Charming Open Floor Plan in Smyrna!